A peek at the main entrance into the Stable Block and Ticket Office. Have a look at how Wimpole is protected during the winter; from the conservation inside the Hall to the care of Home farm and the gardens as well. It will be taking place this weekend, the 7th and 8th of December; as well as next weekend, the 14th and 15th of December. Click the link above for more info on our events page. 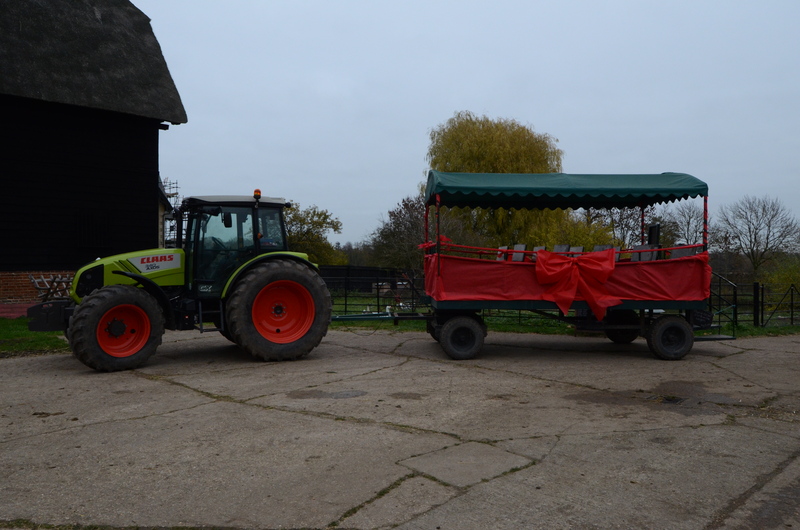 At the farm, a huge 20ft Christmas tree has been put up in front of the great barn and Steph Turner, one of the Farm’s Experience Officers has said that it’s the first time the farm will have its tree positioned there. 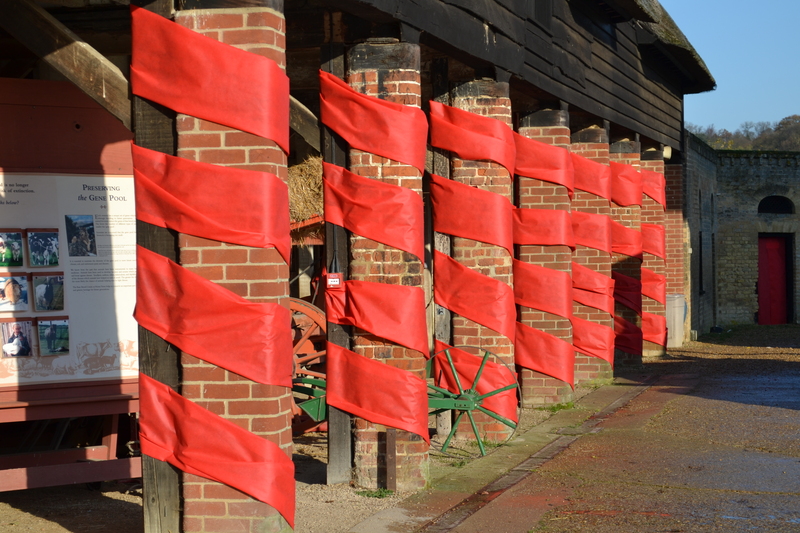 She has said that they’ve gone wrapping mad at the farm; buildings, trees, hay bales and even some of the tools are being decked out in ribbon. 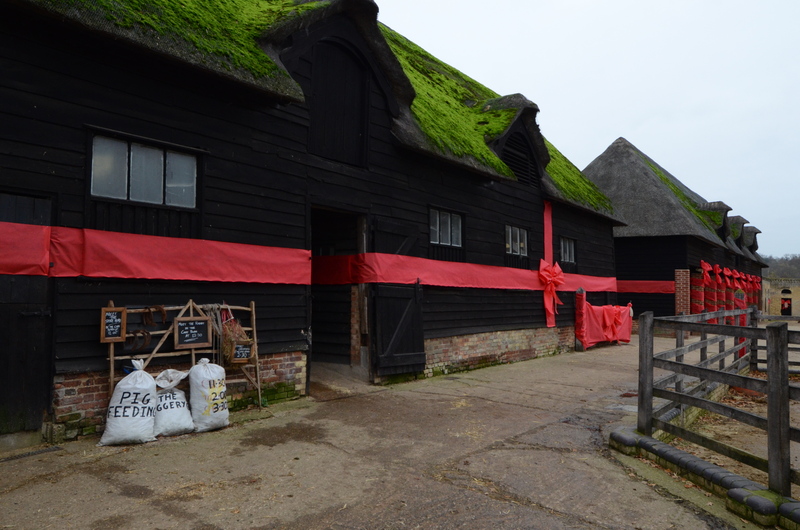 Here on the left is the Cart Barn, and its brick pillars are all wrapped and ready. 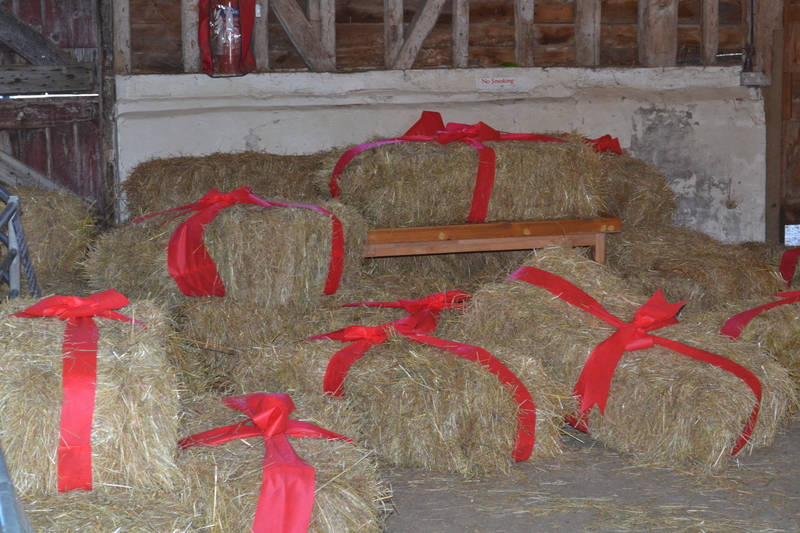 On the right are some hay parcel presents, the animals will be pleased! Even the tractor is getting involved! Some of the buildings are being wrapped like giant presents, and Steph has said that there’s a few more big surprises that we’ll need to look out for too! It’s an innovative way to do Christmas and she thinks it’s a great way to show off the brilliant conservation work across the estate, that everyone gets involved in, throughout the winter months. 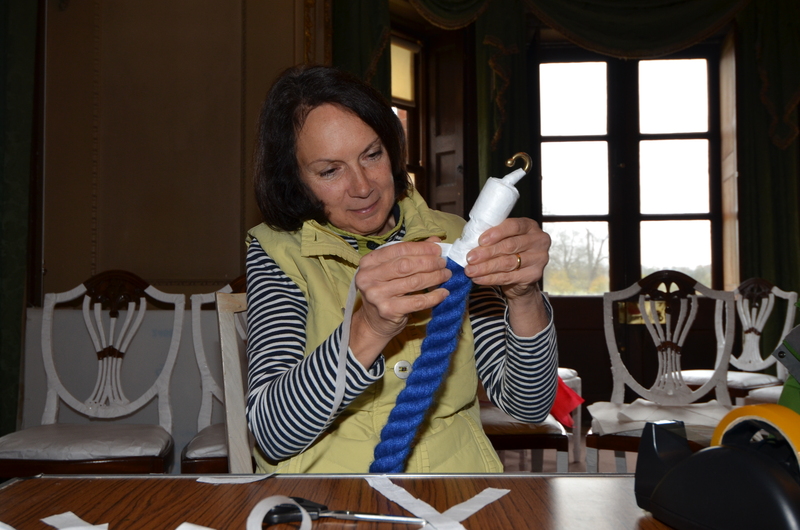 Here we can see Barbara wrapping the dividing ropes inside the Hall. 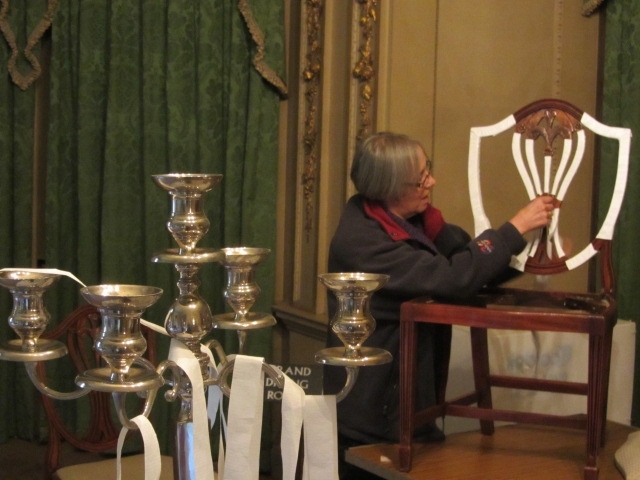 While, below, Hilary prepares the chairs. 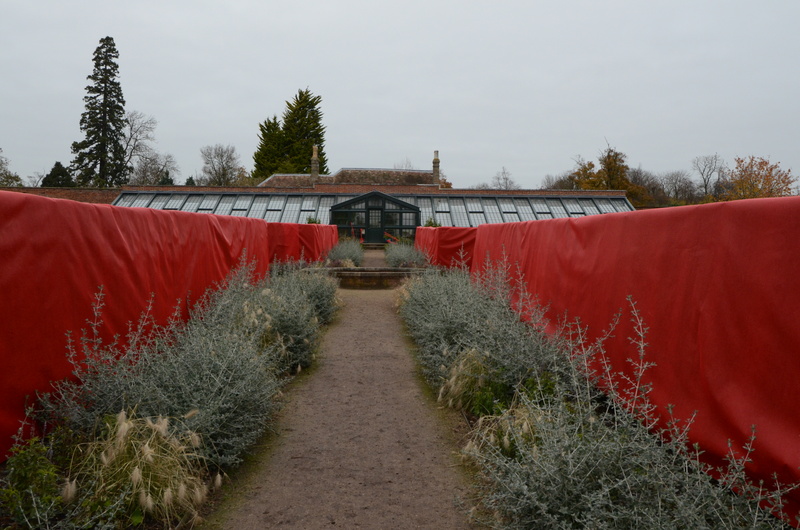 The Gardens are having their fair share of wrapping too! 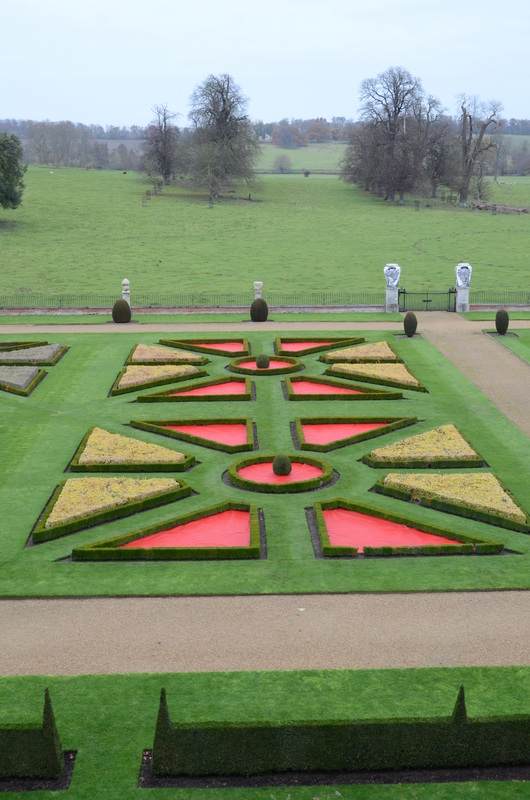 The trees throughout the Pleasure grounds have been decorated, plus the Walled and Formal Gardens too. 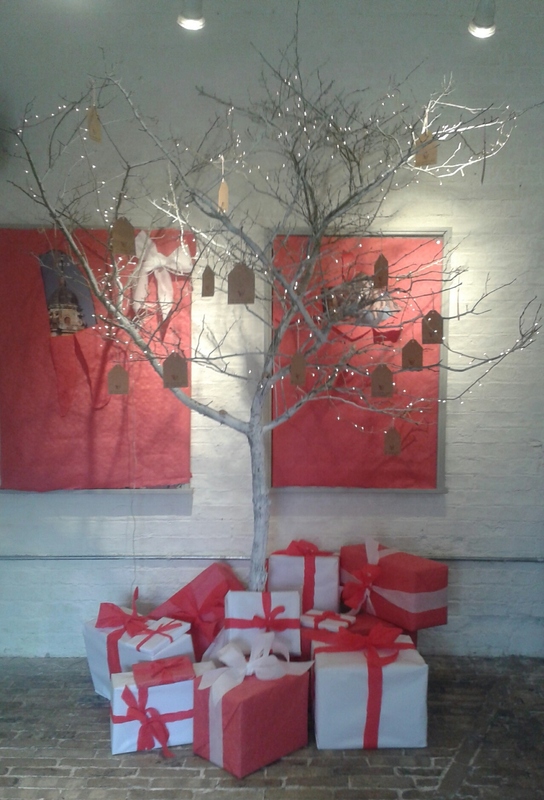 And Of course the Stable Block tree; looking very magical thanks to Meg Hewett, one of our wonderful volunteers. 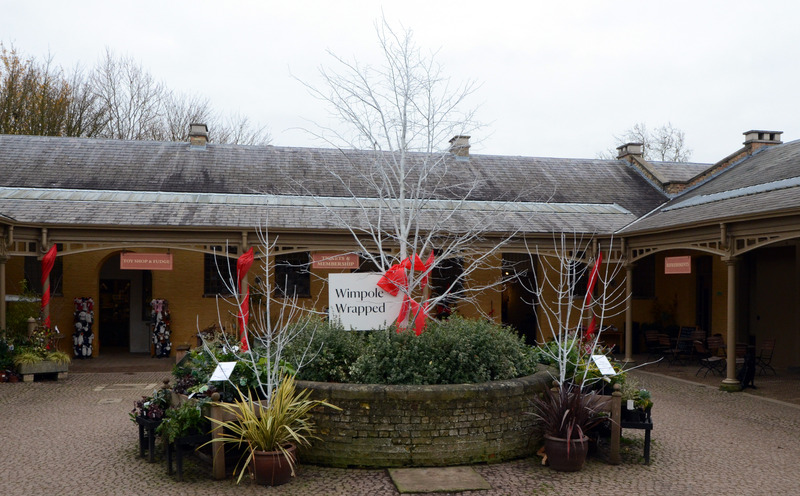 Come and visit Wimpole this weekend or next to see more of the festivities! Everybody has been working really hard to make it a great experience for everyone! 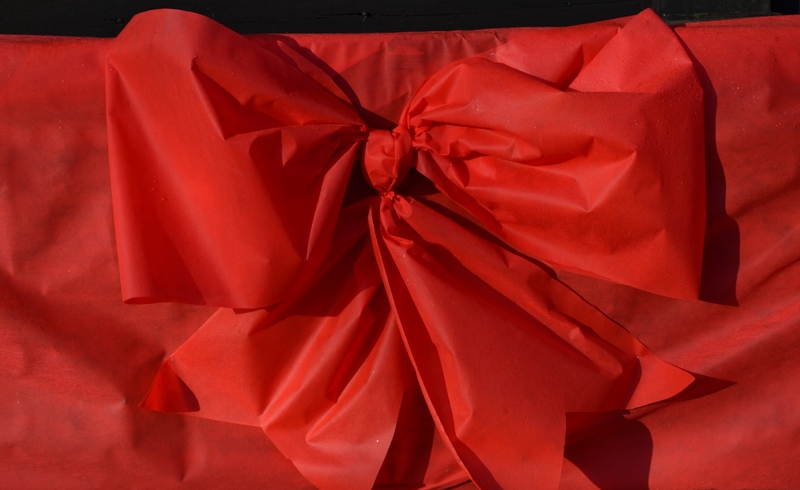 This entry was posted in Events, Farming, Mansion and tagged cambridgeshire, conservation, farm, hall, wimpole, wrapped by luciackersNT. Bookmark the permalink. Great ideas and I hope you get loads of visitors.